Dietrich Klinghardt, MD, PhD studied medicine and psychology in Freiburg, Germany, completing his Ph.D. on the involvement of the autonomic nervous system in autoimmune disorders. Early in his career, he became interested in the sequelae of chronic toxicity (especially lead, mercury, environmental pollutants & electromagnetic fields) and their impact in chronic illness. While working in India he encountered Eastern concepts of disease etiology and blended them with his Western training. This laid the foundation for his 5-level system of Integrative Medicine. 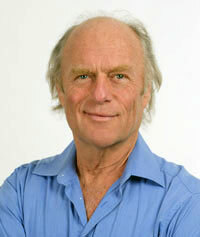 Increasingly aware of the limitations of conventional medicine when dealing with chronic conditions, he trained in Ericksonian hypnotherapy and began to include body-oriented psychotherapeutic and counseling approaches in his work, along with neural therapy, mesotherapy injection techniques, and applied psychoneurobiology. Dr. Klinghardt has contributed significantly to the understanding of metal toxicity and its connection with chronic infections, illness, and pain. He has been instrumental in advancing various fields within biological medicine – non-invasive pain management, injection techniques for pain and orthopedic dysfunction, anti-aging medicine, toxicology, pediatrics (neuro-developmental disorders), energy psychology, biological dentistry, and others. He developed Autonomic Response Testing, a comprehensive diagnostic system that has helped many practitioners to become accomplished holistic physicians. He founded Sophia Health Institute in 2012 and is actively involved in patient care at his clinic.